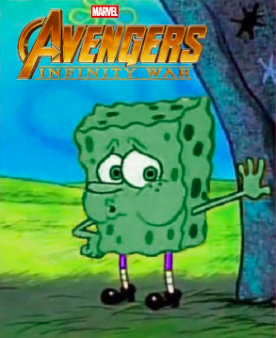 Following the deaths of Stan Lee of Marvel and Stephen Hillenburg, the creator of Spongebob, executives from both Marvel Studios and Nickelodeon have decided to toss their plans to collaborate on featuring Spongebob in the new Avengers film. “What Stan Lee says goes,” explained Marvel executive Jeanette Wei. 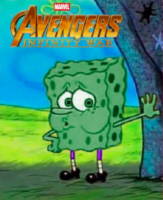 When Stan decided he wanted SpongeBob to make an appearance in Avengers 4, nobody dared to question him, even though we all thought it was a terrible idea.” Hillenburg—apparently a huge Stan Lee fan—was open to the idea, pointing out that Spongebob had been a hero in the “Sponge Out of Water” film, and even acted as The Quickster in the International Justice League of Super Acquaintances.